Due to popular demand, we are back with this year’s Christmas page set. Our page set is slightly different to previous years as we are now using the responsive layout functionality, however, they are still designed to boost sales, bookings and website traffic. 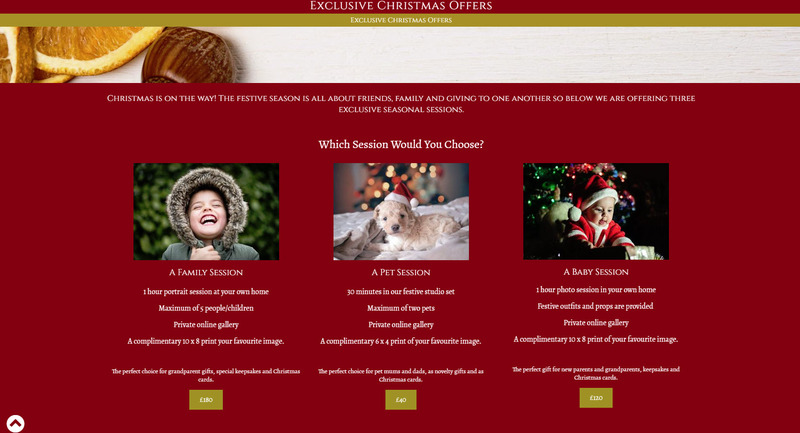 This year we have designed one ultimate Christmas page set using the new responsive layout. 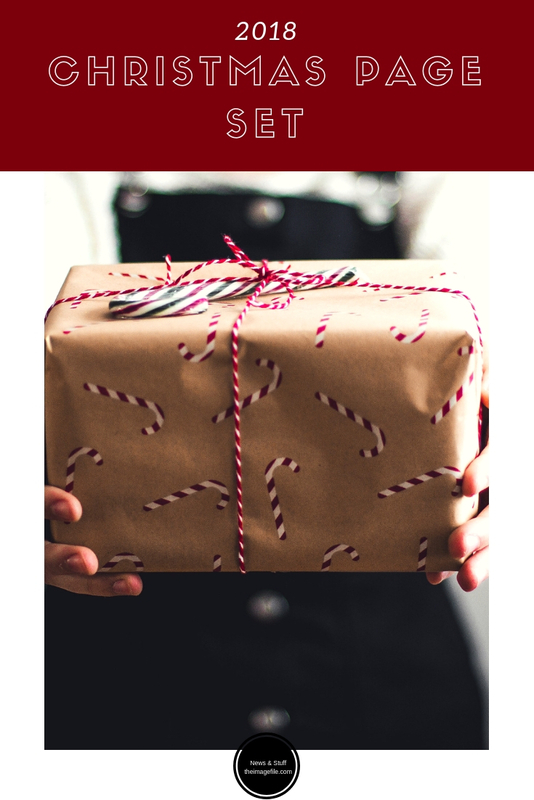 This page set is designed to give you inspiration and ideas of what you could offer your clients in the lead up to Christmas, but is no way a guide to what you should do. 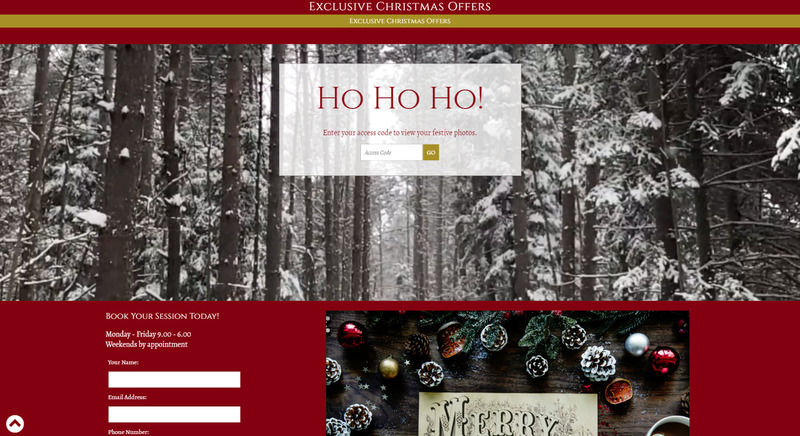 At the top of the page set we are using banner links to showcase eight exclusive festive deals, one for each week in the lead up to Christmas. These are a mixture of discounts, exclusive offers and packages to encourage visitors to buy or book now. You could create a similar design for your own business or pick and choose from the ones we have provided. 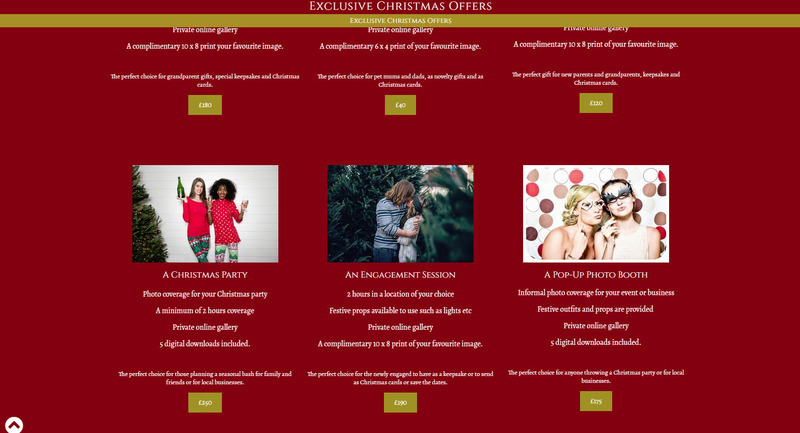 Moving down the page you will see that we are offering six different festive photo sessions – from family to a pop-up party photo booth. These, of course, will not all be appropriate for your business but they are there to get your creative juices flowing and show what you could offer and how you could lay it out in the responsive layout. The next section shows an access code box with a seasonal video background. 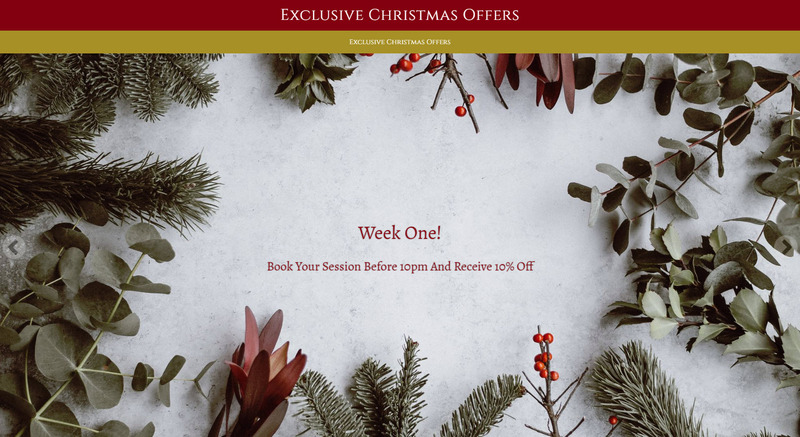 This not only adds interest to the web page and a lovely form of movement, but is also a great way to easily direct clients to where they can find their images, once they have had their festive session. Finally, we have included a contact form at the bottom of the page so that potential clients can easily get in touch and book their desired session. To download the Christmas page set log in to your account on theimagefile > My Websites > Pages > Page Sets > Christmas 2018. There is also a link on that page to a handy help article (with videos!) explaining how to install the page set into your website. It really couldn’t be simpler.